Noah is a guitarist, composer and educator currently residing in New York, NY. A graduate of the Oberlin Conservatory of Music, Noah was fortunate to study with Bobby Ferrazza, Gary Bartz, Billy Hart, Robin Eubanks, Jay Ashby, Jamey Haddad, Paul Samuels and Stephen Aron. In addition to Noah’s jazz and classical guitar studies, Noah has been teaching students of all ages and interests for the past four years including: secondary guitar lesson instructor at the Oberlin Conservatory of Music, Guitar and music theory instructor at the Summer Jazz Academy at the Solebury School, and guitar instructor/ensemble leader at The Philadelphia Clef Club of Jazz and performing Arts. Noah is a member of collaborative jazz quartet Junior Ranger, which has worked to explore non-traditional orchestration, firm compositional structures, and free improvisation. Performing both nationally and internationally, Noah has won awards and scholarships throughout his career. 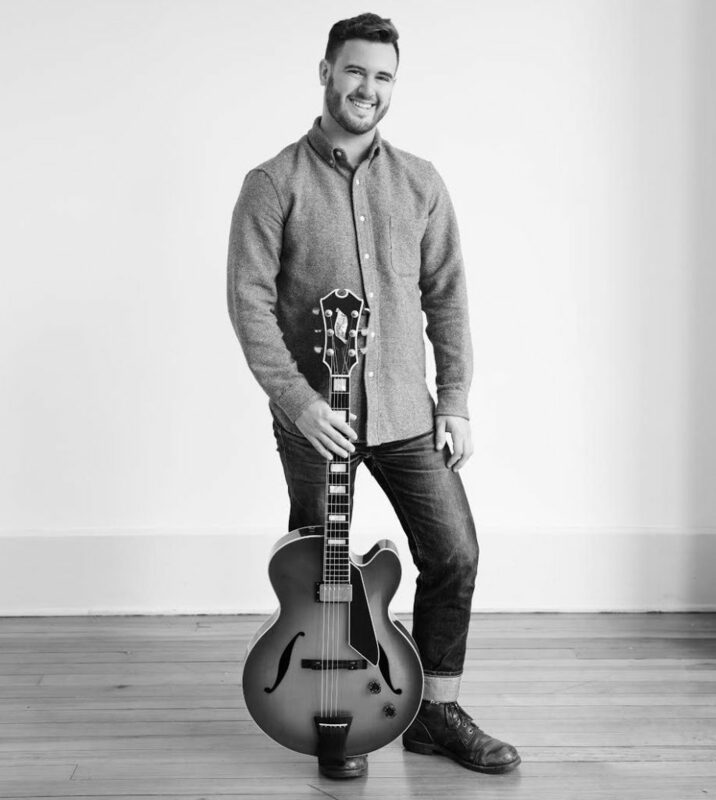 From Philadelphia, Noah’s passion for music started at the age of 13, studying with legendary guitarist Steve Giordano and attending the Philadelphia Clef Club of Jazz and Performing Arts under the direction of Mr. Lovett Hines. Most recently Noah appears on Junior Rangers first album Monster Masks, recorded and released in 2015. What will make a student learn best? A student will learn best when they are curious, relaxed and open minded. When I teach a student the specific technique that they need to learn – I love to see the gears spinning in their heads, how they can take that skill and add some personal styling to create something that is uniquely theirs. When a student approaches learning their instrument they should ask as many questions as possible, being excited about all the possibilities and wonders of the guitar and music. What do you enjoy most in teaching? I love it when I get to see that it is possible to germinate a love of music in a young mind, which has the potential to grow into a life long passion for playing and enjoying music.